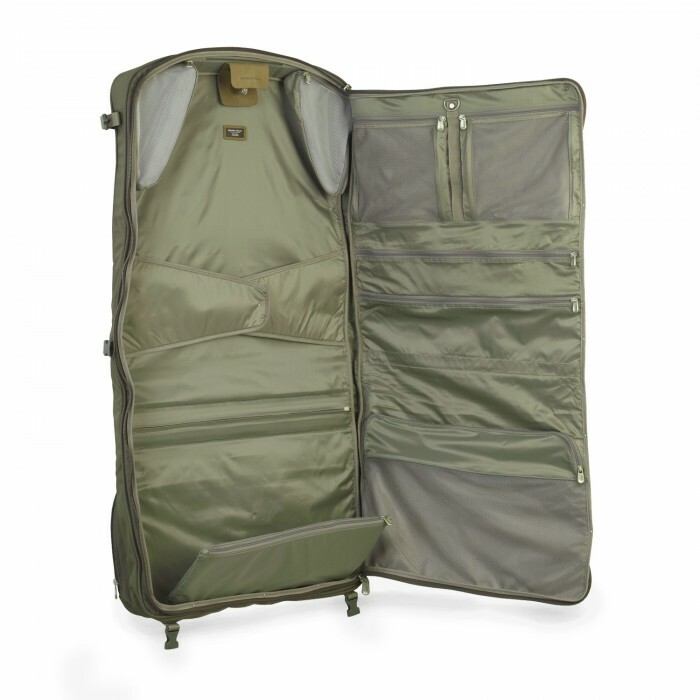 This tri-fold garment bag is compact in design and well organized. 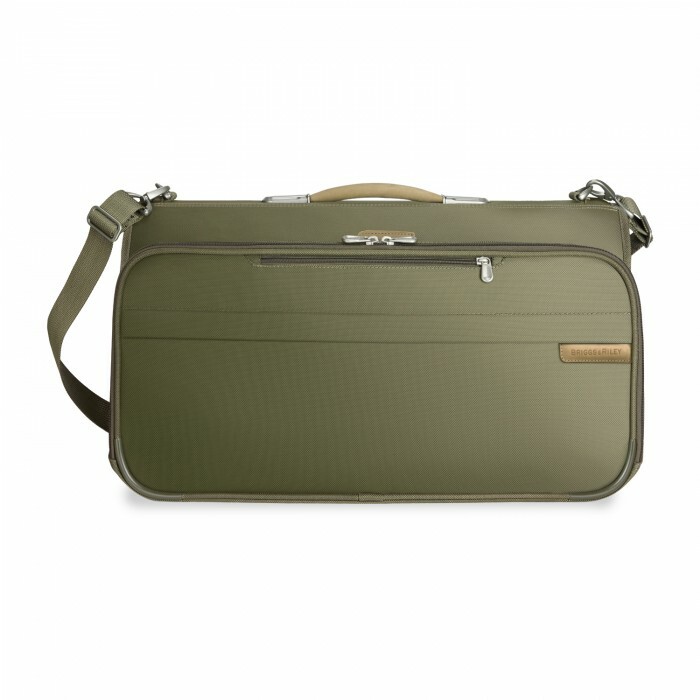 Perfectly sized to be a carry-on—its size allows you to bring it just about anywhere. Where versatility meets world-class endurance. Baseline offers distinctive pieces that work together seamlessly, allowing modern travelers to build original solutions to fit their lifestyle. 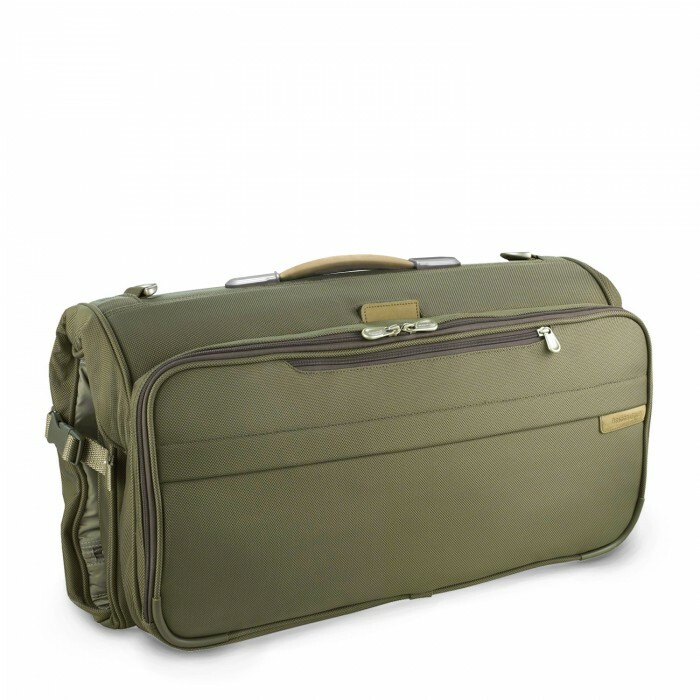 Dual purpose, slip-through back pocket allows bag to slip over the Outsider® handle for easy transport. Dual zippers secure bag in position.